Located on Howe Street, the Main Street coming into Southport, The Inn at River Oaks has been in existence for over 50 years and has become a significant part of Southport’s history. We are within walking distance of many different shops and restaurants, as well as the historic Waterfront Park (pictured above), which makes Southport what it is today. Being a small motel we pride ourselves and providing the best service at a good price for our customers. 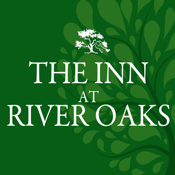 The Inn at River Oaks is family owned and operated. In January 2005, we renovated and updated our place, including the remodeling of our rooms in order to make it feel more like home. All suites and Non-smoking rooms have been remodeled. Being downtown it's just a short walk to the Cape Fear River front park. From the park you can watch large trans-oceanic ships from just about every country pass their way up the Cape Fear River to the State Ports, creating remarkable photographic opportunities. Southport is so photogenic that a number of motion pictures and TV films have been made here and The Inn at River Oaks has been the focal point of several of them such as Domestic Disturbance starring John Travolta. Wireless Internet (802.11b & 802.11g) Note: signal reception strength and data speed is dependant on customer's computer WiFi hardware capabilities. We hope to hear from you soon. Please feel free to contact us at anytime.